Jestr Events - Tonight's Entertainment: 10 CERTAIN WAYS TO MAKE YOUR WEDDING THE MOST TALKED ABOUT EVENT OF THE YEAR. The most magical day of your life is on the horizon and we’re sure you’re riddled with ideas, plans and terrifically creative concepts to entertain you and your loved ones on the big day. But in case Pinterest and your favourite DIY websites aren’t kick-starting your creativity like you’d hoped they would, today our team over at Jestr is making 10 suggestions for your wedding entertainment. Just in case you’ve got a case of bride brain (an overload of excitement) and haven&#39;t been able to narrow down your vision and concept just yet. Full disclosure, this won’t be your Mother's wedding entertainment rental. Watch in awe as Rayn easily captures your guests attention and performs a bewildering set of magic that will excite and shock onlookers. A highly sought after magician, Rayn will roam your venue performing his magic act including; sleight of hand, pickpocketing, mentalism, card and illusion magic. A trio of talented acoustic musicians that will serenaded your guests and even take requests! 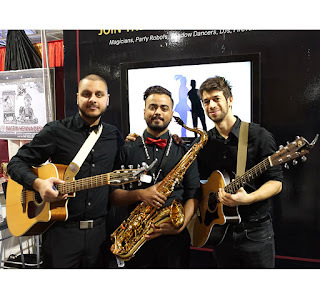 Jestr’s Trio makes for an intimate and authentic entertainment experience for your wedding reception. Performance possibilities can include your first dance, cocktail hour or even a spontaneous mid dinner performance. Forget your uncle, Jestr’s professional MC will provide an outstanding performance element to the traditional mundane MC duties. Magic tricks, interactive games and rousing introductions will keep the excitement level on high all evening long. 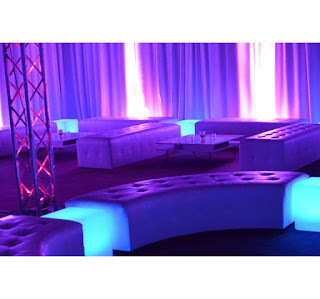 Outfit any area of your wedding with glowing LED furniture and décor and see how the soft illumination adds elegance and romance to your venue. LED furniture is an ideal way to create the focal points of your venue like the head table, DJ booth and bar. Since the furniture is waterproof it’s also perfect for outdoor receptions and designated smoking areas. Ask about customization using images and text! Bring your childhood circus memories to life at your wedding with Jestr&#39;s impeccable fire dancers and performance artists. Their act will leave you breathless and amazed as they perform a fire show fit for circus, the ultimate show in live entertainment. Not sure if you’ve gotten the memo but photo booths are cancelled. Don’t panic though, Jestr has you covered on that front. Introducing our live and digital cartoons artists. Drawing are performed at maximum speed to include as many guests as possible. Available with logo customization, your guests will keep this memento for years to come. Our newest addition, digital drawings are performed on a tablet and live broadcasted on a television for the entire venue to see in real time. Literally the life of the party. Perfect for your dance party or a midnight surprise during the late night buffet. Jestr’s two options of LED robots, J-Bot and J-Tron will elevate your guests’ experience from to unforgettable. Possibly the most photographed moment during your reception and definitely the most memorable, your first dance as a married couple is a moment you’ll cherish forever. Our 1st Dance Musicians will serenaded you and your brand new other half. Best. Time. Ever. 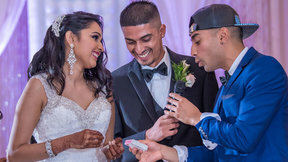 Bring the fun to your wedding in the form of giant games like jumbo connect four and Jumbo Jenga. Our giant wedding games are designed to create guest engagement and hilarious memories. Guests will be reminiscing about your wedding for years to come and relishing in their win over your in laws! Waiting in line is boring, even when it’s at an open wedding bar. 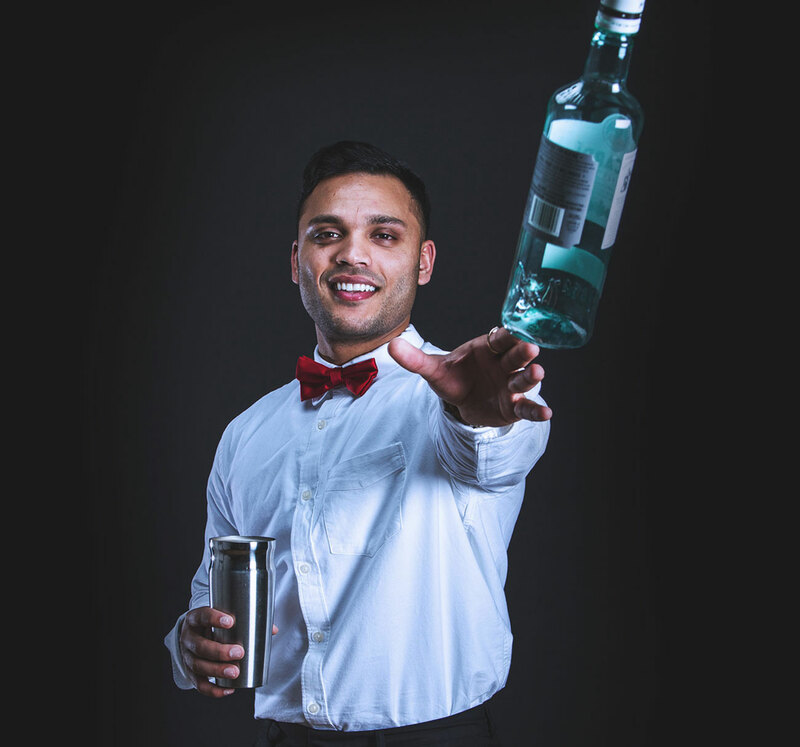 Entertain and engage your guests with flair bartenders who can create your signature wedding cocktail with pizazz and gravity defying moves in seconds. Remember: this is you and your future partners special day so it should be exactly what you want. Jestr is most proud of our teams ability to work with each and every couple's vision and desired outcome. No wedding should be the same and we’re here to make certain of that! So, if you’re looking for a wedding experience that is nothing like your Mother’s or your Grandmothers, contact us today for you’re the wedding your imagination didn’t even know existed.